Hoping to revive the sagging spirits of America’s dwindling pro-Israel Jewish community, pro-Israel icon William Kristol tries to reassure Weekly Standard readers this week that Jimmy Carter issued anti-Israel threats similar to those now made by President Obama, only to see American Jews and Israel emerge stronger. As Kristol points out, Carter’s disastrous gambit helped deliver Ronald Reagan to Israel and the world. The full spectrum of the organized American Jewish community in 1980 was proudly pro-Israel and came out swinging against Carter’s support for an anti-Israel UN resolution. That, by today’s standards, seems tame. Weeks later, New York’s Jews came out “in droves” to crush Carter in the Democratic Presidential primary. Alas, 2015 is not 1980—not for the American electorate generally, nor certainly for American Jews. Unlike 1980, when nearly every major American Jewish organization quickly condemned Carter’s anti-Israel moves, today only two major Jewish groups even bothered to issue immediate condemnations following President Obama’s threats to use the UN to punish Israel for its crime of re-electing Prime Minister Benjamin Netanyahu. The groups that did speak out represented the two largest denominations in American Judaism: the Reform and Conservative movements—and both organizations strongly condemned not Obama, but Netanyahu! The more relevant corollary to the age-old question “Why are Jews liberal?” is “Just how liberal are American Jews?” The vicious assault against U.S. Representative Steve King by leading liberal Jews after the Iowa Republican asked why American Jews seem to support Obama much more aggressively than they support Israel shows just how sensitive the matter has become. American Jews are liberal for precisely the same reason that American Christians are Christian. Just as Christianity is the religion of most American Christians, the 2013 Pew Survey on American Jewish Beliefs and Culture shows that liberalism is by far and away the default religion of most American Jews. As American Jews move farther to the left, they grow not only less attached to Israel but increasingly hostile to it. Nearly two thirds of American Jews self-identify as either “liberal” or “progressive-left,” the survey found. Most American Jews believe the federal government is “not as big as it should be” and nine out of 10 support gay marriage. A higher percentage of American Jews believe Muslims suffer serious discrimination in the United States than do American Muslims themselves. Three quarters of American Jews consider “Holocaust remembrance”—not Judaism itself—as the “most essential part of being Jewish.” While the Pew study didn’t quiz American Jews as to how much actual knowledge they even have of the Holocaust, one wonders. But the study’s most shocking finding was how openly hostile much of the American Jewish community has become towards the Jewish state. Fewer than one in three American Jews have ever even visited Israel. Jewish support for Obama’s disparaging treatment of Israel is higher than for Americans at large. 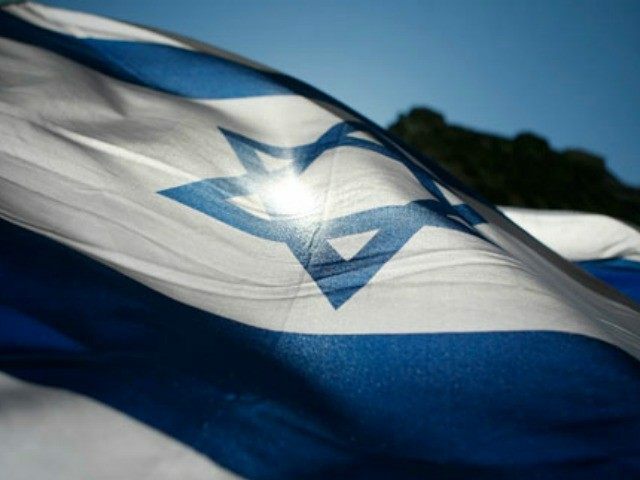 Almost two thirds of US Jews surveyed in the Pew Study (65 percent) agree with the statement that current “US support for Israel” is either “about right or even too much.” The study did not break down the percentage split between “about right” and “too much,” nor was “US” specified to mean either the White House’s position, the U.S. Congress, both, or neither. The anti-Israel hatred of the newly emergent American Jewish left has been on full display in the week since Obama’s combined two front attacks against the Jewish state—his blatant attempts to incite Israel’s terrorist enemies by legitimizing them at the United Nations while feverishly pursuing an alliance with Iran that will guarantee nuclear weapons for the world’s leading terrorist nation that claims the violent annihilation of Israel to be its paramount ideological pursuit. Things have become so Orwellian inside the American Jewish community that being pro-Israel requires one to be anti-Israel. At its annual conference, the anti-Israel, left-wing Jewish group J Street wildly cheered anti-Israel speeches from former White House Chief of Staff James Baker III, recently appointed as a top foreign policy advisor to Jeb Bush, along with current White House Chief of Staff Dennis McDonough, both of whom used the same chilling language used by Israel’s worst enemies to condemn the Jewish state. American Jewish writer Peter Beinart used Netanyahu’s re-election as a pretext to elevate himself from mere anti-Israel agitator into a full blown anti-Semite. Parroting calls previously made by other anti-Israel hate groups, Beinart demands that Obama assist in the ethnic cleansing of Jews from “occupied territories” by banning them en masse from entering the US and freezing any financial assets they might hold here. The reaction of the organized American Jewish community to a prominent pundit from its own midst calling upon a US president to forcibly ghettoize and seize the assets of Jews in Israel? There wasn’t one. While new groups of the well-funded, anti-Israel Jewish left grow in size and scope, the older more established institutions of the American Jewish community have either rendered themselves mute, like AIPAC, or are simply being taken over by the anti-Israel Jewish left, like the United Jewish Appeal, the largest and most storied of all US Jewish groups. The UJA’s just elected Aliza Doctoroff its new president. Doctoroff is not from your mother’s UJA. She is an open supporter and donor to the notorious New Israel Fund, a major sponsor of the anti-Semitic BDS (Boycott, Divest and Sanctions) movement that demonizes and delegitimizes the Jewish state, and therefore by extension, the Jewish people. Doctoroff’s NIF has openly called for the extradition of soldiers from the Israel Defense Forces to stand trial before United Nations war crimes tribunals. Israel is not just being abandoned and betrayed by President Obama, it is betrayed and abandoned by the American Jewish community—or what’s left of it.